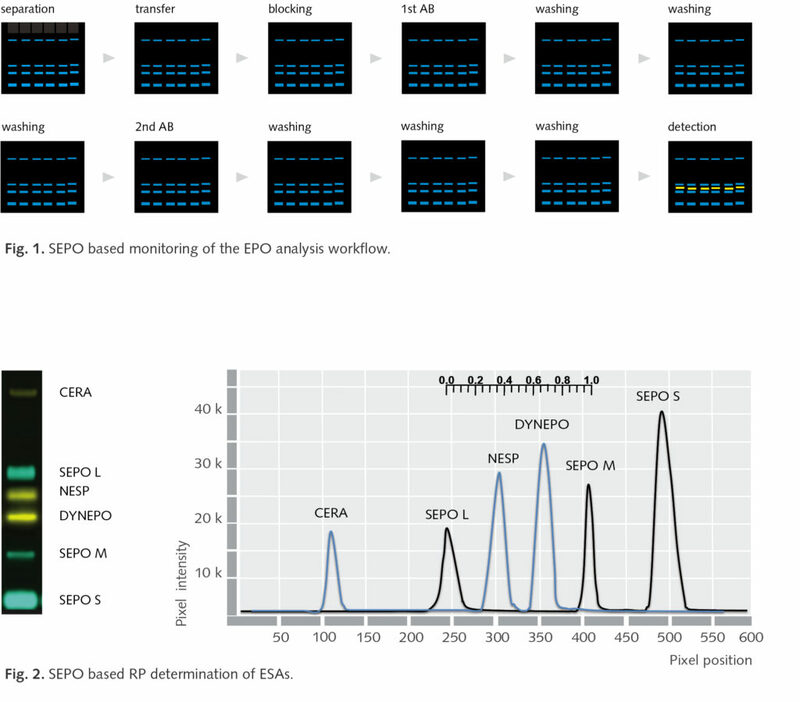 The detection of the different genetically or chemically modified EPOs as well as the elevation of sensitivity to detect micro-dosing EPO applications require sophisticated analysis methods. In addition, for laboratories analyzing larger numbers of samples, the tests should be easy to handle and include a higher grade in automation. 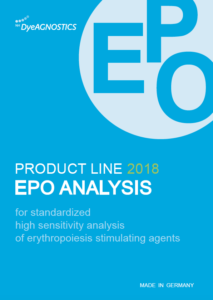 We offer a product line along the EPO analysis workflow to meet the requirements of high sensitivity detection, reliability and easy handling. For standardized rountine EPO diagnostics we therefore provide system integration for protein separation, transfer and detection. 1. Prior electrophoresis: Fluorescent SEPO standards, added to each sample prior gel electrophoresis, allow for the precise monitoring of the complex workflow as well as the precise RP value determination of every ESA in every lane. 2. Electrophoresis: VELUM Precast Gels for SAR-PAGE, SDS-PAGE and IEF separate up to 40 samples per gel and allow for high sensitivity ESA detection. 3. Blotting: The special design of VELUM Precast Gels, the corresponding VELUM Dry Blotter and VELUM Blotting Kit provide high transfer rates for ESAs to the Western Blot membrane. 4. 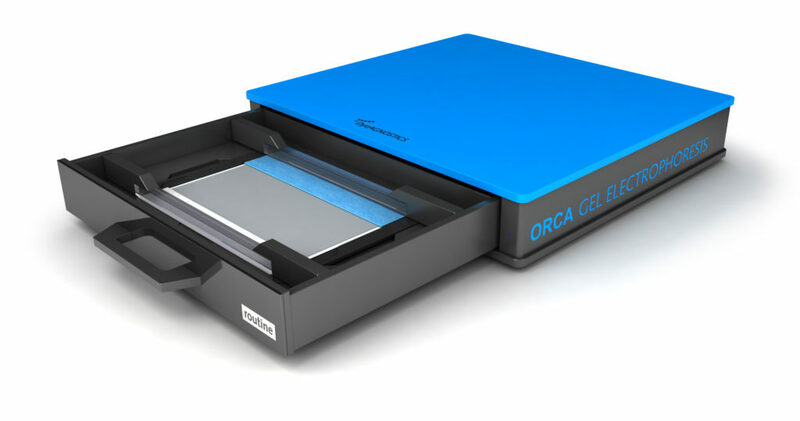 ESA detection: The ORCA Gel Imager offers both: High sensitivity chemiluminescence and fluorescence detection of large sample gels. 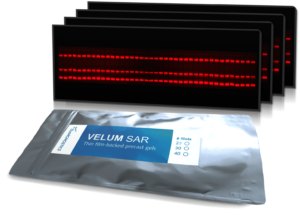 VELUM SAR Precast Gels for Sarkosyl-PAGE offer careful separation of up to 40 samples per gel and allow for high sensitivity detection of all ESAs in one analysis. 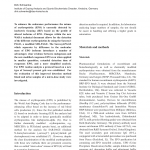 The combination of VELUM SAR Precast Gels and immunoblotting allows to sensitively discriminate endogenous EPO from exogenous ESAs differing in either the electrical charge (EPO glycoforms) or the molecular weight (EPO analogs/ biosimilars). 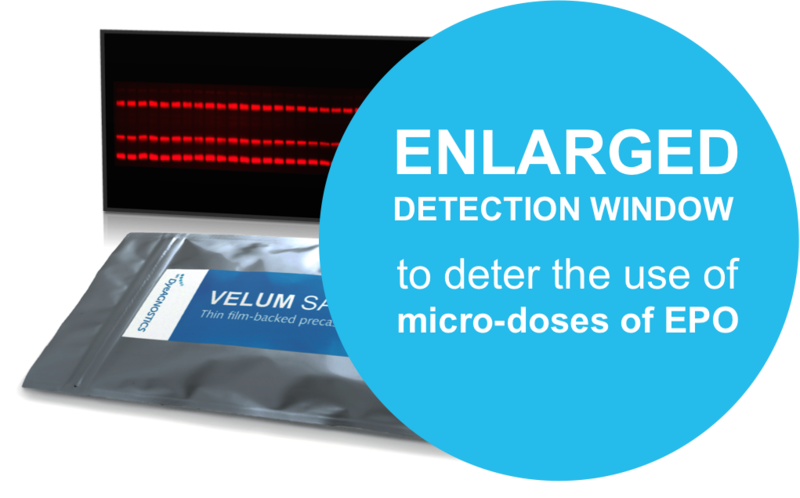 VELUM SAR Gels are in use for daily EPO routine diagnostics by the German WADA laboratory IDAS (Dresden). VELUM SDS-PAGE Precast Gels offer careful separation of 25 or 52 per gel and allow for high sensitivity detection of all ESAs differing in their molecular weight (EPO analogs/ biosimilars). VELUM IEF Precast Gels offer careful separation of up to 40 samples per gel and allow for high sensitivity detection of all ESAs differing in either the electrical charge (EPO glycoforms). The ORCA Gel electrophoresis routine is designed for daily protein analysis by SDS-PAGE, SAR-PAGE or IEF. The ORCA Frame Technology ensures error-free handling of the system including the correct setting of the corresponding VELUM Precast 1D Gels or the electrode. No further user education required. The VELUM Dry Blotter is designed for the high quality protein transfer from VELUM Precast Gels. 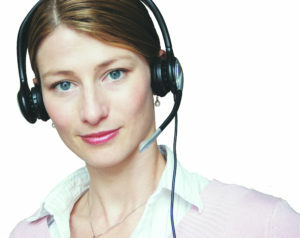 The Blotter is easy to handle, does not require current of additional buffers. The VELUM Blotting Kits come with precut low fluorescent PVDF membranes and precut filter papers. 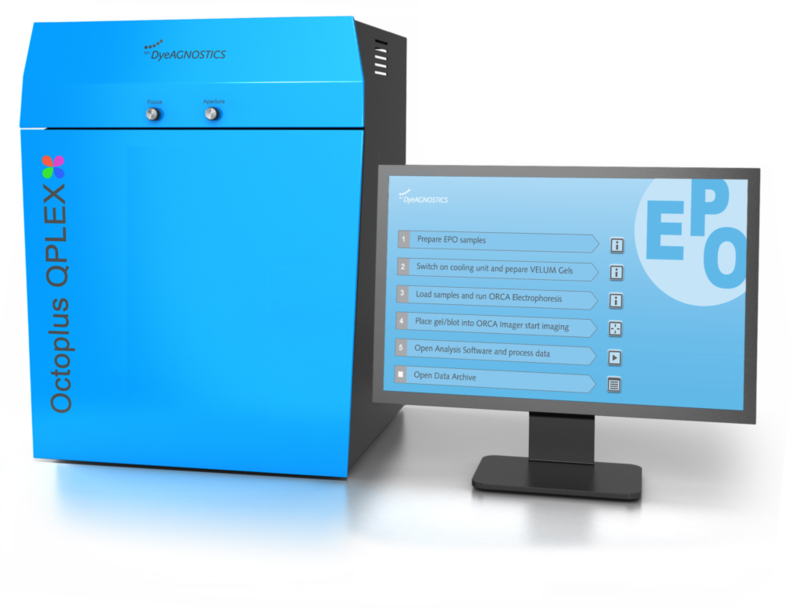 The BlotCycler from Precision Biosystems allows for automated processing of the Western Blots. 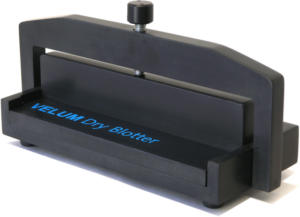 We offer washing trays for the blot cycler fitting large size Western Blots (265 x 90 mm) as derived from VELUM Precast Gels. Prior to electrophoresis, fluorescent SEPO sample standards are added to each sample. The fluorescent detection of the SEPOs allow to carefully monitor the complex workflow (figure 1), as well as to precisely determine the relative position (RP value) of the detected ESAs in every lane. The SEPO-based RP values are independent on electrophoretic differences in sample migration like the “smiley effect” (figure 2). In addition, the protein separation and transfer efficiency (Western blotting) can be easily monitored providing a much higher grade of reliability of the analysis. 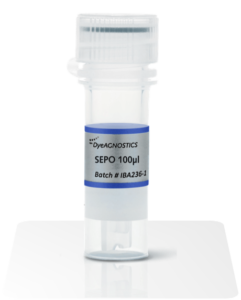 SEPOs are in use for daily routine diagnostics by the German WADA laboratory IDAS (Dresden). The Octoplus QPLEX combines fast image acquisition from large multicolor 1D gels and blots with high sensitivity and the robust setup for daily routine. Based on superior CCD technology, high performance excitation of fluorophores, and on a fine tuned filter set, the system competes with laser scanners however up to 30x faster. Due to its sensitive chemiluminescence detection, the Octopus QPLEX is ideally suited for combined protein analysis using both chemiluminescence and fluorescence.